For this exhibition, I invited Rachel Sussman (*1975, lives and works in New York) to present her project “The Oldest Living Things in the World” in Baden-Baden. For the past six years, the artist has been travelling to remote and often isolated locales, most recently Antarctica, to take pictures of continuously living organisms that are 2,000 years old and older. Her work is part art and part science, underscored by a philosophical framing of deep time. At this stage in her project, she has made beautiful and intriguing “portraits” of more than 30 different representative species. 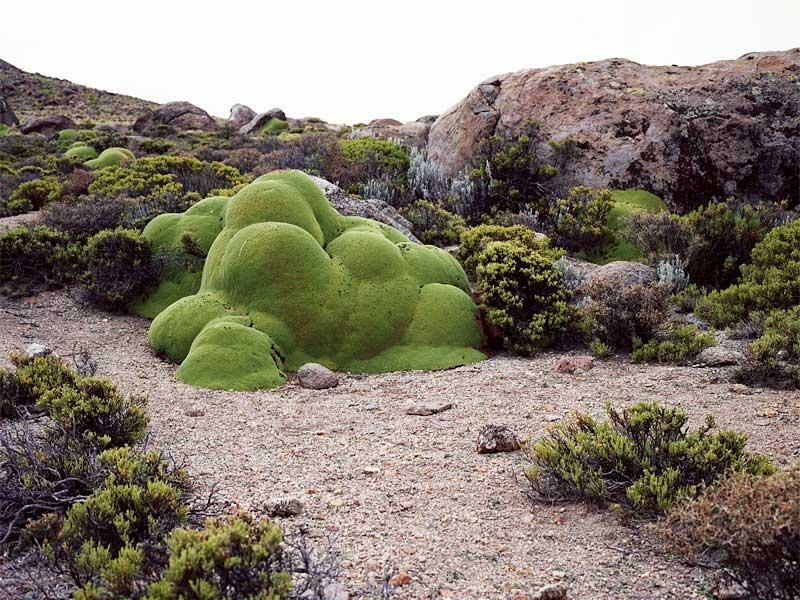 One of these organisms, for example, is a particular type of lichen in Greenland that grows only 1 centimetre every hundred years, shedding light into a deep timeline that starkly contrasts that of a human lifetime. The artist has also made pictures of a unique desert shrub in Namibia called “Welwitschia Mirabilis,” Siberian bacteria that are approximately half a million years old, a predatory fungus in Oregon, and a brain coral in Tobago that has persisted over centuries, settling 20 meters below the water’s surface. With some organisms looking very obscure and others perfectly plain, their differences in appearance raise questions about a common denominator that allows these beings to endure. The artist has pointed out that there is in fact no area of study in the sciences that addresses the question of “biological longevity across species.” Through her project “The Oldest Living Things in the World,” Rachel Sussman connects the findings of researchers from various fields and puts them into a greater perspective. The artist has received international grants, prizes and awards in recognition of her work. For her exhibition in Baden-Baden Sussman developed a site-specific installation at 45cbm studio space. The artist earned a BFA from the School of Visual Arts in New York, and began an MFA in Photography at Bard College, which she left to start a practice-based PhD at Central Saint Martins College of Art and Design in London in 2008.